Description: Looking for work in a down economy raises the interview experience to nerve-wracking new heights! 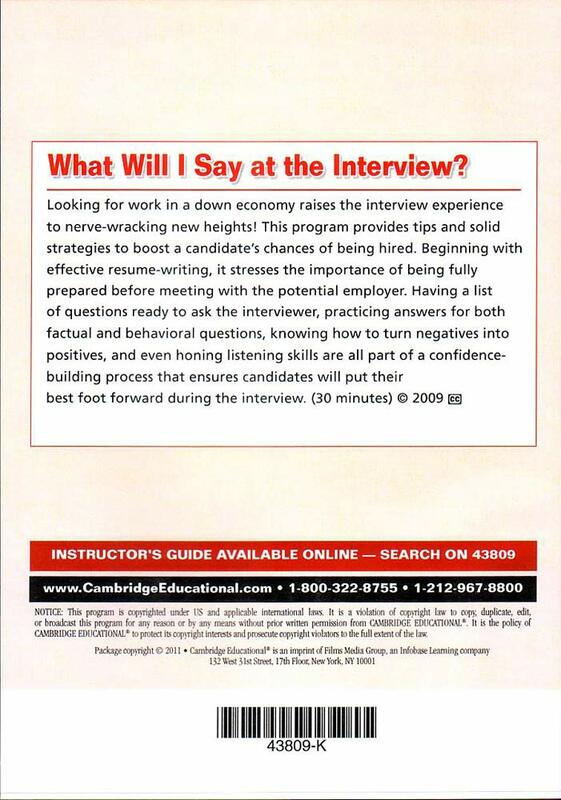 This program provides tips and solid strategies to boost a candidate’s chances of being hired. Beginning with effective resume writing, it stresses the importance of being fully prepared before meeting with the potential employer. Having a list of questions ready to ask the interviewer, practicing answers for both factual and behavioral questions, knowing how to turn negatives into positives, and even honing listening skills are all part of a confidence-building process that ensures candidates will put their best foot forward during the interview. Copyright 2009.